One of the definitions of faith that Merriam-Webster online uses is: “something that is believed especially with strong conviction; especially : a system of religious beliefs <the Protestant faith>”  The Bible simply defines faith as “the substance of things hoped for, the evidence of things not seen (Hebrews 11:1 KJV)”. But I have noticed that faith is the subject of many speeches, sayings and quotes as well. Here are 20 Christian faith quotes that I have found to be very moving. What Christian faith quotes do you have to share? Please include them in the comments below. Faith helps you to see the furture..it gives you a strong desire because you have a vivid concept of where you are going..
godwill this is amazing . may god bless u . Having Faith is to have a vivid picture of what you believe in mind.. Faith keeps me going, when I feel like stopping. Faith is facing the situations practically and yet remain calm and undisturbed that God is in control of the situation fully and His will be done. 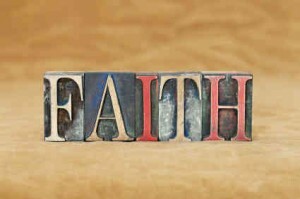 Faith believes that all things are possible to one who believes as He who promised is faithful. IT IS HAVING THE EYE AND MIND OF CHRIST ON THE ALL SITUATIONS WHERE WE HAVE TO EXCERCISE OUR FAITH. Faith sees light when others see darkness, it looks beyound its environment and ignores every comment that tends to pose fear. The only thing that yahweh sees in us is faith, with that he becomes proud of us. faith is believe u do not see. faith believe u do not see and faith can help you to be strong in the LORD. God said it…I believe it…therefore by faith I receive it..in Jesus name Amen! Faith is an indispensable spiritual virtue that expedites great miracles, provokes the power of God for our security and wellbeing. Really we live by faith but faith without action is like you moving by sight. faith is having the faith that God has. its waking up to receive that which i unqualified for by human perspective through a favouring God who honours those who are obedient to His call. Faith is a vehemence assurance of our hope,the profession of what we have not seen.It takes strong conviction to have faith.You dont just have faith till you are absolutely sure about something. Faith is an assurance based on God’s word of the invisible reality only seen through the eyes of faith walker. Faith without a foundation on God’s word is fake. God’s word alone triggers the Spirit of faith. God has said it, I believe it and that settles it. That’s faith! Sole dependency on the Author of faith (GOD). Faith is heavenly currency which Christians use to buy blessings.